Digi Summit 3000 Floor Scale and Indicator Package is an economical choice for industrial weighing tasks, with a durable low-profile deck. This Legal for Trade scale comes factory calibrated with easy-to-use Digital Weight Display and 20 feet of load cell cable. The Digi Summit® 3000 Series provides exceptional performance in light industrial and legal-for-trade applications. 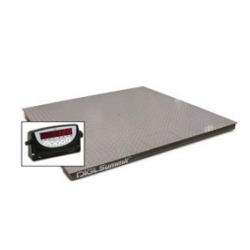 Not to be confused with digiweigh floor scales, the Digi Summit floor scales are actually a product that comes out of the Floor Scale Factory of Rice Lake Weighing Systems up in north west Wisconsin. 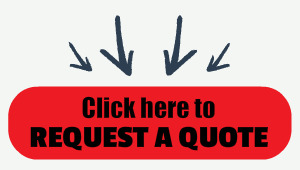 While value priced, the Digi Summit 3000 also employs a rugged design to deliver efficient installation and operation. We've been selling these floor scales for years and they are some of our customer's favorite choices when they're looking for a quality deck that isn't quite as robust as the Roughdeck. The convenient top-access junction box is housed in a durable ABS enclosure and is protected from fork trucks and other industrial abuse by the Summit 3000’s diamond treadplate steel deck. The scale has fully adjustable, rigid polyurethane rubber feet to accommodate weighing on uneven surfaces. The load cell cable exits the weldment towards the interior of the scale, allowing you the flexibility to route it out any side of the scale to the digital weight indicator. This also means the indicator load cell cable is at floor level—reducing the potential for damage.